At OrthoGraph, we are committed to support the evolving next generation of students, by providing educational institutions with our software. 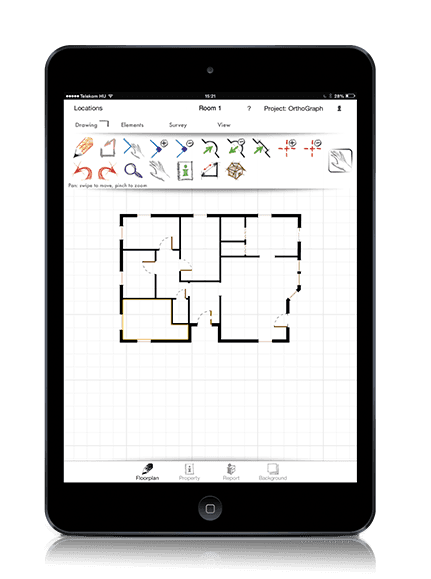 The OrthoGraph building survey software system is built upon the most innovative technologies to support a totally new methodology of building surveying, where professional CAD drawings can be created on-site facilitating an iPad and a laser distance meter. Our software allows rapid and accurate surveying work by using the most competitive technologies. If you are a student or a teacher at such an educational institution of young professionals who will use floor plan survey in their future work, feel free to contact us to reach out for our software technologies. We provide free licenses for teachers and students for educational purposes*. *Please note: Educational licenses of OrthoGraph products and services must not be used to productive work. The use of such licenses are permitted for learning purposes only. Professional use of such licenses is prohibited!